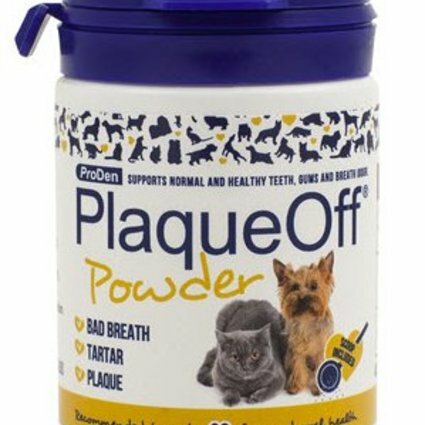 ProDen PlaqueOff Powder is a pet dental product available from veterinary practices and selected pet shops. 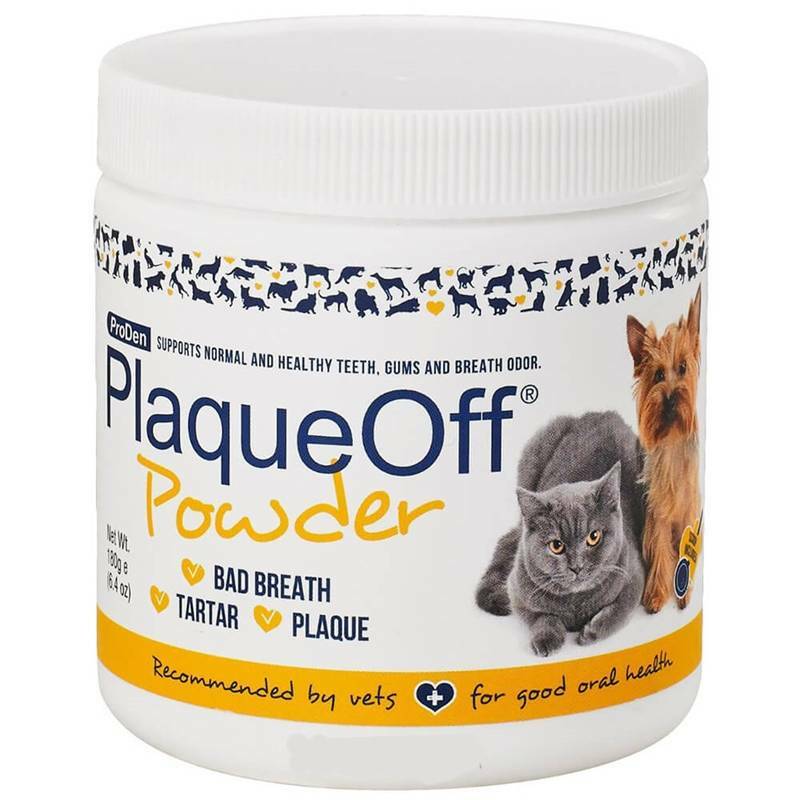 Used daily, this completely natural product made from seaweed can significantly complement your pet's oral hygiene. 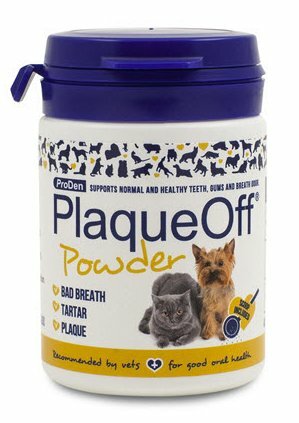 As in humans, plaque bacteria constantly forms in the mouth of all cats and dogs. Once plaque has calcified into tartar it can no longer be brushed off. In many cases it has to be removed by a vet using ultrasound and anesthetia. If tartar build-up is left untreated it can result in bad breath, gum disease, tooth decay and premature tooth loss. Tartar that is allowed to remain for too long can also cause infections that can spread throughout the body and damage the heart, lung, liver and negatively affect kidney functions.